(Bloomberg) – The rand has jumped from one extreme to another. 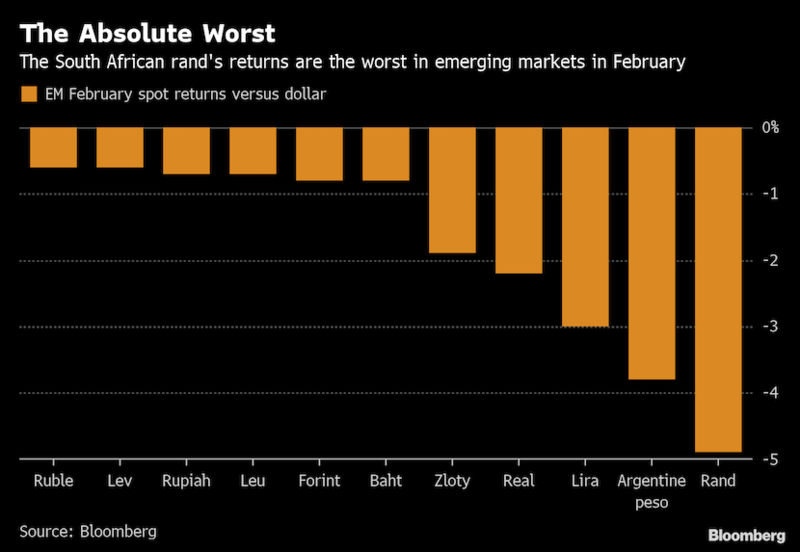 The currency, which gave a world-beating performance in January, will now record its worst February drop since 1996, as it takes the loser’s cup for the biggest decline against the dollar in a basket of emerging market currencies tracked by Bloomberg. Global growth concerns and a spurt of dollar strength weighed on all developing-nation currencies in February. But Eskom Holdings SOC Ltd.’s operational and financial woes exacerbated the rand’s losses as investors mulled the implications for South Africa’s struggling economy. 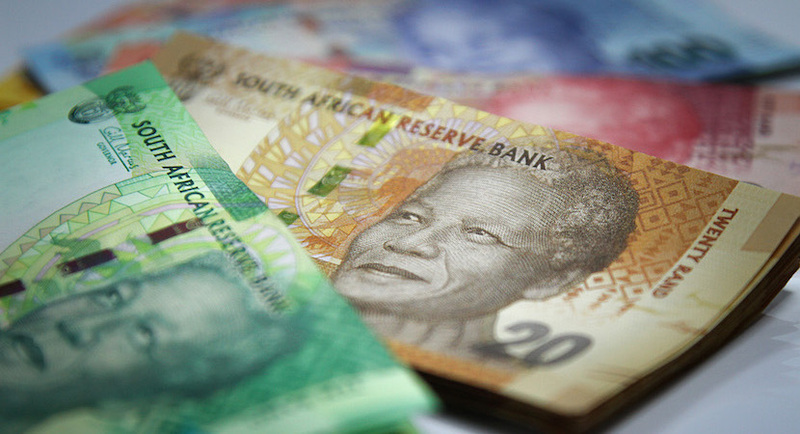 The rand weakened for a third day on Thursday and traded at 13.9552 per dollar by 10:16am in Johannesburg. It’s down more than 5% in February, the most it has lost in a month since August’s thrashing. It could continue to underperform in the months to come, with Eskom still a concern and global growth slowing, according to Piotr Matys, a London-based emerging-markets currency strategist at Rabobank. “While the emerging-market currencies responded enthusiastically to the US Fed adopting a wait-and-see approach in January, we are of the view that capital inflows” may prove unsustainable unless the outlook for the global economy improves, said Matys.